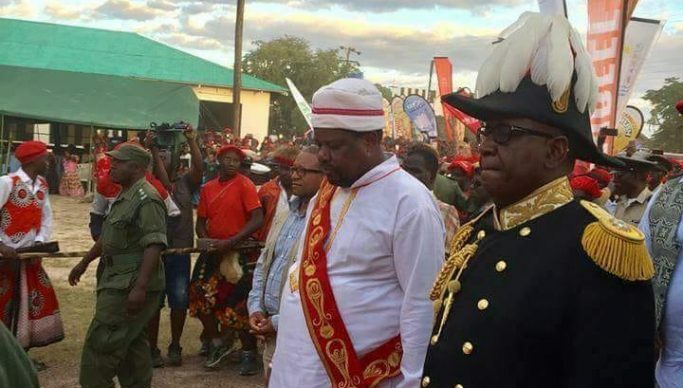 PARAMOUNT chief Kalonga Gawa Undi of the Chewa people of Zambia, Malawi and Mozambique has invited, the Litunga, king of the Lozi people of Western Province, to grace this weekend’s Kulamba traditional ceremony. In April this year, the Litunga invited his counterpart, Gawa Undi, to grace the Kuomboka ceremony in Limulunga. As per anticipation among those who attended the Kuomboka, paramount chief Kalonga Gawa Undi added magnificence to the ceremony. At about 16:00 hours on that day, paramount chief Kalonga Gawa Undi, amid unyielding State security, arrived at the venue and went to sit in the VVIP section. A few minutes later, Mbumba za Gawa Undi (a group of female dancers for the paramount chief) came in style, much to the delight of the crowd of spectators. The Litunga, and his delegation, according to a press statement issued yesterday by the Chewa Heritage Foundation (CHEFO), is expected to arrive in Eastern Province where a number of cultural activities have been lined ahead of the Saturday event. “As the Chewa Heritage Foundation (CHEFO), we are delighted with the decision by the Litunga to accept an invitation from his majesty,” stated Foundation national publicity secretary Reuben Kamanga. “We invite the Lozi people and any other people wishing to come for this weekend’s ceremony to come in numbers and come and support the event,” stated Kamanga.